Cheap Used Dirt Bikes are superb value for any offroad fan. 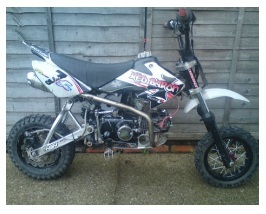 There are tons of cheap used dirt bikes out on the net and the small ad’s. In today's economy it is difficult to afford all the extras that we want to have. Many people desire a dirt bike, but think they simply can not afford it. Well I am here to tell you there are cheap dirt bikes out there. They are just waiting on a new owner! Seriously, many people will trade their bike in for a newer one and you can get a great deal on a used bike. Don’t let it fool you though, just because we use the term "cheap used dirt bikes", that is not reflective of what you get. Cheap does not mean good or of high quality, it simply means that you are getting a great deal. If you are just getting into the sport of dirt bikes you certainly want to consider looking for a cheap dirt bike. Save your big bucks for later on when you determine your riding style and what other kinds of riding you will be doing. Saving money is always a key, the less you spend the more you have in your pocket. There are a number of ways to find cheap & used dirt bikes. There are several websites, local options and many more ads for you to search. Take a look around and you are sure to find a cheap used dirt-bike that will suit your needs and pocketbook! Costly Cheap Used MX Bikes. Cheap used dirt bikes may be cheap to purchase but could nickel and dime you to death in the end. Some of them are in such bad condition, nickels and dimes won't cover all the issues, so you go to the next level, using your plastic to cover the costs. However, many cheap used dirt bikes are just that, cheap and used, but remain in excellent condition due to either limited use or great owner care. You don't always know the good ones from the bad ones until you have a chance to look at the components of the bike, ride it a bit and experience the first "break down" or problem. One way to avoid problems when purchasing cheap used dirt bikes is to talk with the previous owner and ask about mileage or hours ridden. If the owner noted they rode it frequently but is a box of rocks when it comes to maintenance, look for another purchase. Their lack of understanding will clearly tell you the bike is badly in need of the hands of a real mechanic or bike expert. If you are one, you can offer a lower price and explain why. There are plenty of reasons to select cheap used dirt bikes over new models. You might be looking for something just to goof off in the backyard and not to race. Cutting the entertainment price down makes sense and leaves you with money for other toys. 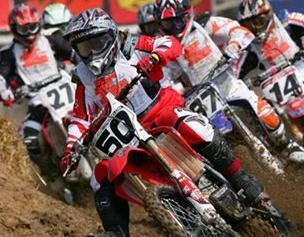 People new to racing and bikes can also benefit from the lower price of cheap used dirt bikes. If the bike only runs a couple of hundred, you won't feel as bad about dropping it as you would if you spent thousands on the purchase. You can also learn more about the maintenance of the bike when you feel more comfortable practicing on a cheap used bike. If the price of the bike is too high, some people feel excessively uncomfortable attempting even the simplest maintenance, let alone more complicated fixes. However, getting the best quality for your buck is still the center issue when you purchase a used dirt bike. Honda, Yamaha and Kawasaki: There are a lot of printed and online publications that advertise the benefit of buying those particular cheap used dirt bikes that are for sale. It is often frightening to look at the picture, see how good the bike looks and then arrive to check it out to find that particular one just sold. Incredibly there is another bike, not quite as nice, but still a good deal. Do you sometimes feel like you're visiting a used car lot ? Don't despair, because it does not have to be that way. There really are some good deals out there and with the entire Internet at your disposal, comparison-shopping is a cinch. You can find out what the new models cost and compare the cost of cheap used dirt bikes. Look at the maintenance sites on the net that let you know if parts are easily available or hard to find for bikes you are considering. If you are looking for a 125cc at a bargain price, put the word out at the track and with your riding buddies, who might know someone with the bike you want that is upgrading to a newer or bigger bike size. Never discount emotion when looking for cheap used dirt bikes. Some mx riders love their bike for the action and good times. They might consider selling it to you for less because you have the same attitude, rather than trading it in to a dealership that will let just anyone have it. Established eBay sellers are usually safe, since they depend on good ratings to bring business. 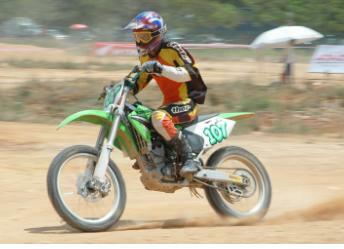 You will find many types of dirt bikes advertised for sale, including motocross, enduro and trail bikes. Know the product and it's "fair" price to find several quality cheap pre-owned dirt bikes. Want to buy a used dirt bike ? There are many cheap used 125cc models advertised, (or indeed any type of cc bike you might be interested in). When your wanting to buy used dirt bikes you must check for condition and if its been maintained well. 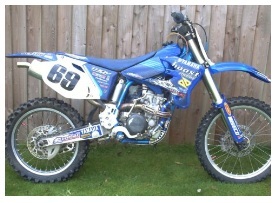 A motocross bike classified is superb, but ebay ad's may turn up many gems too. And gems are worth paying that little bit extra for.